Just Listen (2009) combines time-tested persuasion and listening techniques with new methods to help you get your message across to anybody. 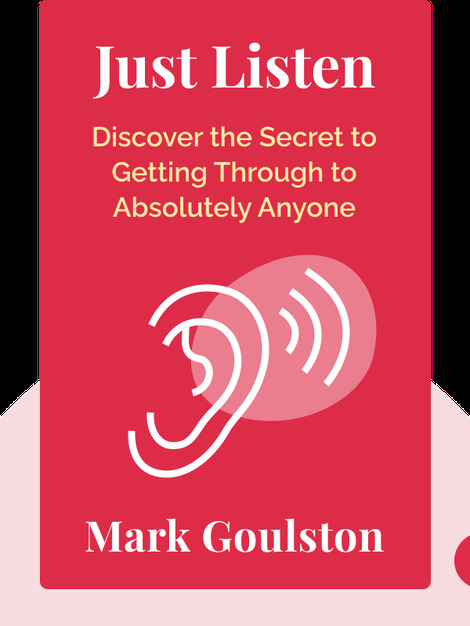 By learning how to be a better listener, how the brain works and how people think, you’ll be able to motivate people to do what you want because you’ll better understand their needs. 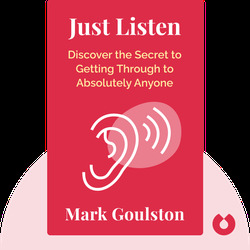 Mark Goulston is a psychiatrist, consultant, business coach and writer whose columns have appeared in Fast Company and Tribune Media Services. In addition, the Consumers’ Research Council of America has named him one of America’s top psychiatrists.